To view all of our monarch tagging information, instructions and links please click here. Watch a demonstration of how to safely tag monarchs by the founder of Monarch Watch, Professor Chip Taylor. For those who tagged monarchs this year, use this form to upload your tagging data for the 2018 season. 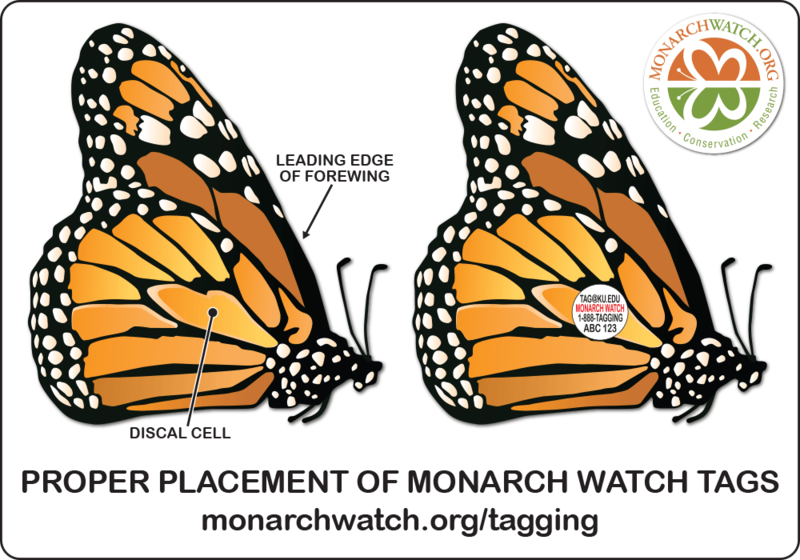 If you have found a tagged monarch, please use this form to let us now. Our list of recovered tags can be can be viewed from this page. For information about monarch migration, click here. Find the peak migration dates for your area here.